Not to be outdone by that little movie called ‘Twilight,’ Kim Kardashian has apparently decided to become a vampire — sort of. At least, that’s what the tabloids would have you believe. 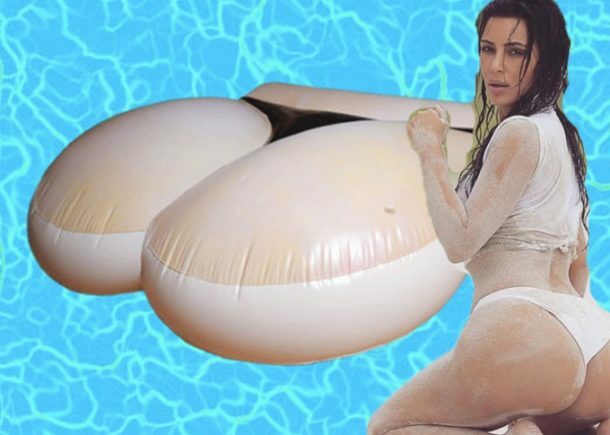 Apparently, Kim has turned to a pretty outrageous method to keep her looks fresh and young. When you find out what she supposedly did, you might toss your breakfast! Okay, there is a procedure that uses blood on the face. As in, human blood. ‘Life & Style’ claims that this is what Kim Kardashian is doing to keep looking so young. Because really, 32 is soooooo old, right? Anyway: The report claims that Kimmy recently underwent something called a “vampire facelift.” Blood is drawn from the arm, spun in some fancy centrifuge, and then smeared on a person’s face. Lovely! Apparently, the spinning helps the platelets in the blood to separate. Tiny needles are also used to prick the skin and “let the platelets seep in.” Ugh. Really Kim? Was this Kanye’s idea? No, it was probably Kris Jenner’s idea. We all know she’s the one who pulls the Kardashian strings, after all, even if it means turning one of her daughters into a vampire (albeit a young-looking one). All’s gone crazy in California!